We began our journey at the Ukraine-Kyiv Pavilion. As mentioned in my Folklorama introduction, some pavilions have extended shows before/after the standard times and it’s a great idea to take advantage of those options! 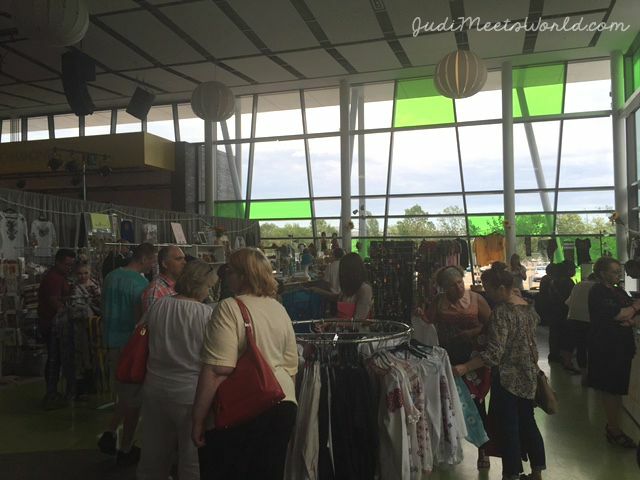 *This is one of four original continuously-run pavilions since the start of Folklorama in 1970! I attend this pavilion annually and each time, I leave feeling like a valued guest, media pass or not. This pavilion is organized and thorough. Volunteers are on hand at every location to help you find your way or answer questions. On top of that, they can point you to the “go-to” person in each department. You will really feel taken care of here! 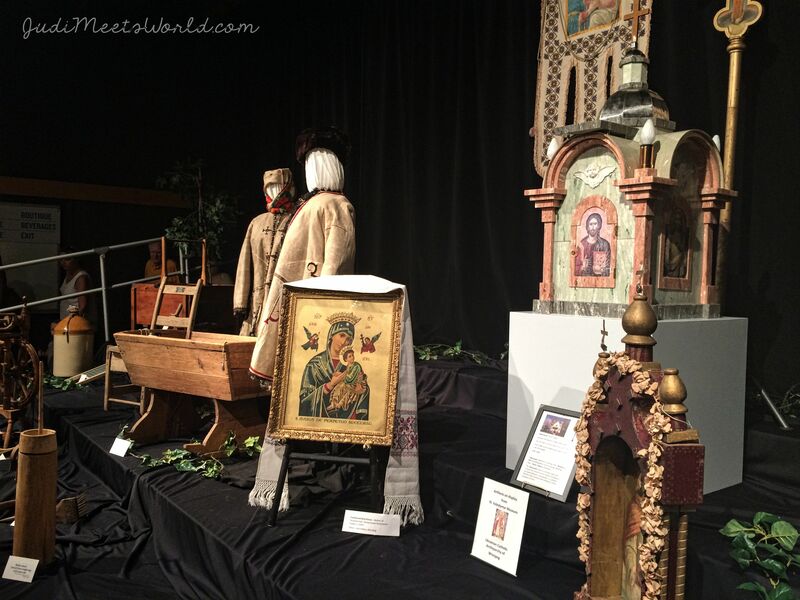 The extensive cultural display navigates like a professional museum exhibit and sets standards high for cultural displays. Artefacts come with captions of the history of each item. 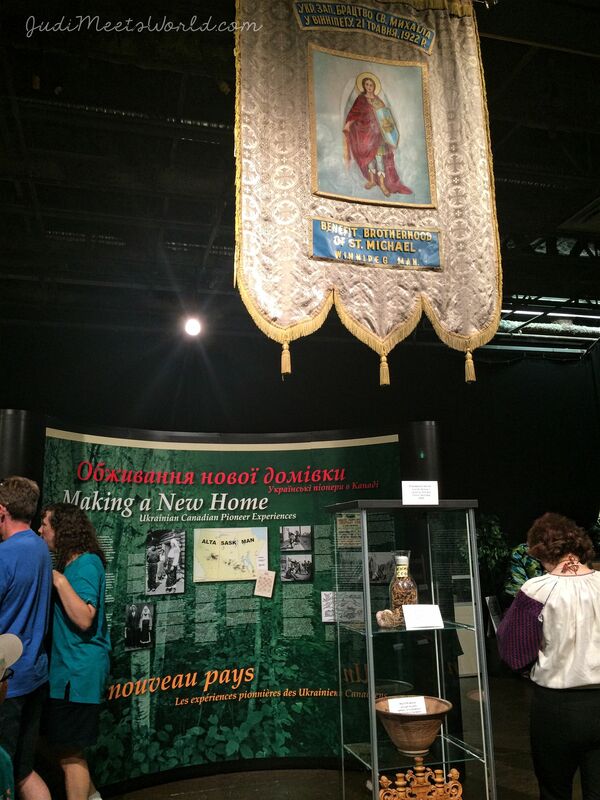 Both informative and interesting, this cultural display is a must-see for Folklorama goers. 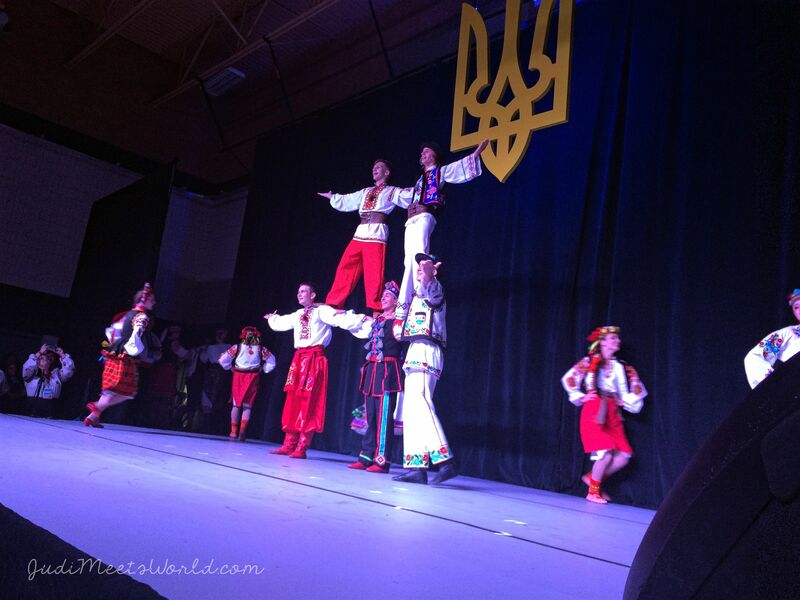 This year the Ukrainian community celebrates 125 years of immigration to Canada – evident in their displays and performances. There is a market area to take home souvenirs from clothing, to dolls, to CDs, to art and displays. At the Marketplace, you will also find Ukrainian and Ukrainian-inspired snacks, with new additions this year. While you wait for the next show, you are entertained on a secondary stage – with plenty of room to join in the dancing! The Ukraine-Kyiv folks were generous in giving us a complimentary meal. Our meal came with kovbasa (sausage), varenyky (pierogies) and holubtsi (cabbage roll). The food was delicious and, true to Ukrainian culture, if you’re an invited guest there is no way you’re leaving on an empty stomach! As mentioned above, more snacks are available at the Marketplace area in between shows. Food at this pavilion is provided by Naleway Catering Ltd., the parent company of Perogy Planet in Winnipeg. We had the pleasure of having a talented MC, Greg Udod. He also performed an original and incredibly catchy song about the Kyiv pavilion with Michael Ryczak on the accordion. The dancers for this show were Cheremosh Ukrainian Dance Ensemble, a young troupe traveling from Minneapolis! The dancers were a balance of strength, discipline, and skill. Between the turns of the female dancers and the core work of the male dancers, my partner and I were in complete awe. They make it look easy! Guests are given a program specific to this pavilion. Inside are infographics about Ukrainian culture in Winnipeg, as well as a list of all performers (both MainStage and Marketplace). 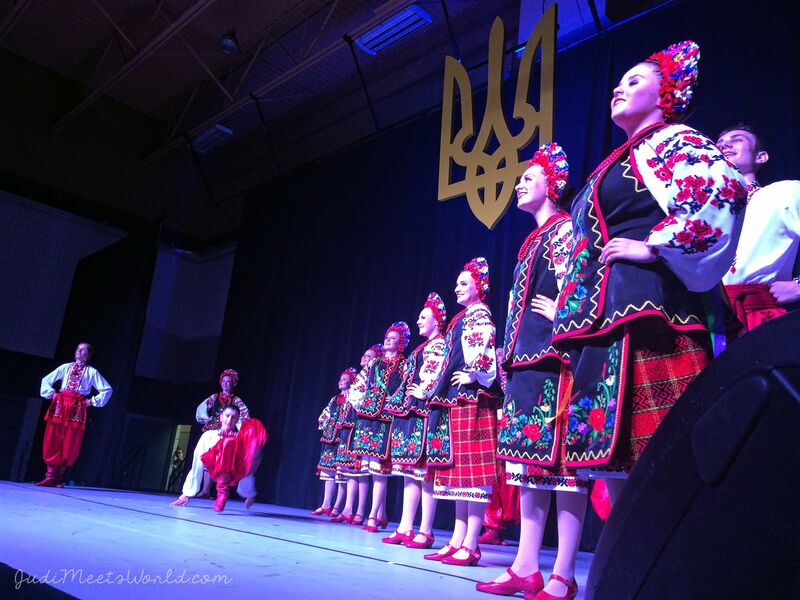 Congratulations to the Ukraine-Kyiv pavilion for another successful run at Folklorama. What’s your favourite part of the Ukraine-Kyiv experience? Connect with me and let me know!